INDIANAPOLIS, IN--(Marketwired - November 03, 2016) - iSALUS Healthcare announces the upcoming release of AnywhereCare, their newest solution for practices who look to join the fastest growing segment in the healthcare industry, telemedicine. 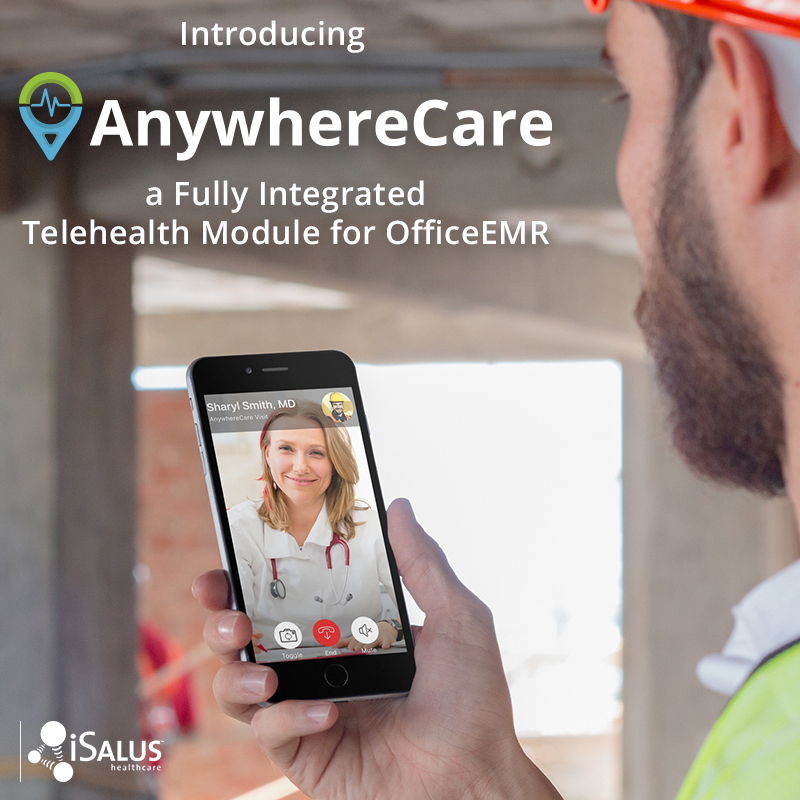 AnywhereCare is a fully integrated telemedicine solution built directly into OfficeEMR which provides seamless communication with the certified EHR and all other iSALUS products. Additionally, AnywhereCare can be used as an independent app on both Apple and Android products. Learn more about AnywhereCare. "With the onset of MACRA and the Quality Payment Program, a lot of our clients have been looking for ways to meet the necessary requirements. We're proud that we're providing yet another tool that will help them improve health outcomes, increase patient engagement in addition to bettering overall patient satisfaction. AnywhereCare can also help them improve their scores under the MIPS payment track when used as a Clinical Practice Improvement Activity." For the upcoming year, the core focus of iSALUS Healthcare will be surrounding advancements in technology that will help iSALUS clients meet new regulatory requirements coming in 2017 with the onset of MACRA and the Quality Payment Program. Additionally, they will be continuing to introduce new products over the next six months that will help strengthen both independent providers and larger organizations that look to broaden the care services they already offer. "It's an exciting time at iSALUS. We're so pleased to be able to help our clients reach patients in rural settings or with disabilities that make coming to their office a hardship. It's also exciting to directly contribute to the patient's experience so that if they are traveling or simply too sick to come to the office, a virtual visit is now possible for them. We're working hard to make sure that the clinicians we serve have the technology they need to continue to thrive in today's ever-changing healthcare market." iSALUS Healthcare is headquartered in Indianapolis and provides industry-leading Electronic Health Records (EHR), Practice Management and Medical Billing solutions to thousands of physicians, hospitals and healthcare systems nationwide. ISALUS was started in 2000 with the purpose of offering a solution to physicians who want to return to the mission of healthcare instead of the business of healthcare. That's why we've made it our mission to help physicians increase their efficiency through technology so they can spend more time focusing on patient care while continuing to grow their practice and maximize profitability. For more information, visit isalushealthcare.com. 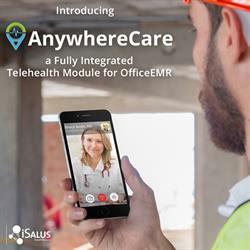 iSALUS Healthcare introduces AnywhereCare, a fully integrated Telehealth Module for OfficeEMR.